DeSoto National Memorial is located in Bradenton Florida, just South of Tampa. This park tells the story of Conquistador Hernando de Soto and his quest for gold and riches. 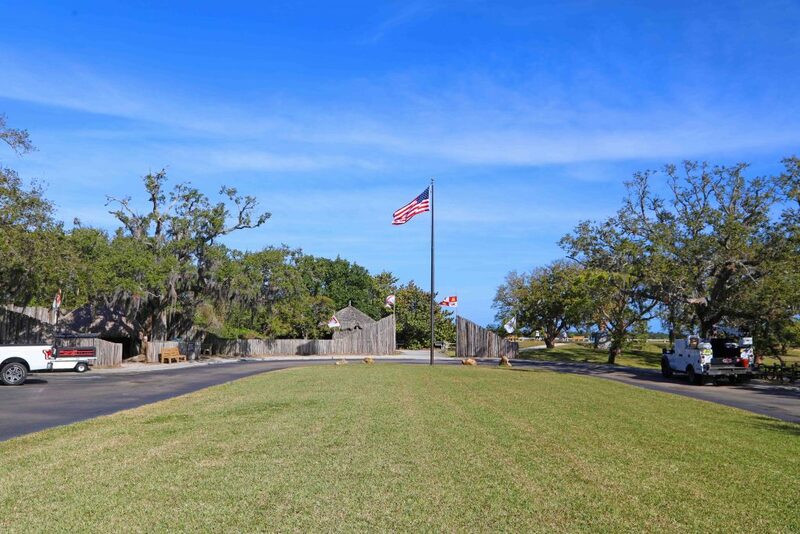 The park is the location where Desoto made landfall with his army of soldiers & mercenaries in May of 1539 and was met with resistance by the native people. DeSoto’s quest for fame and fortune eventually cost him everything including his life four years into the voyage. 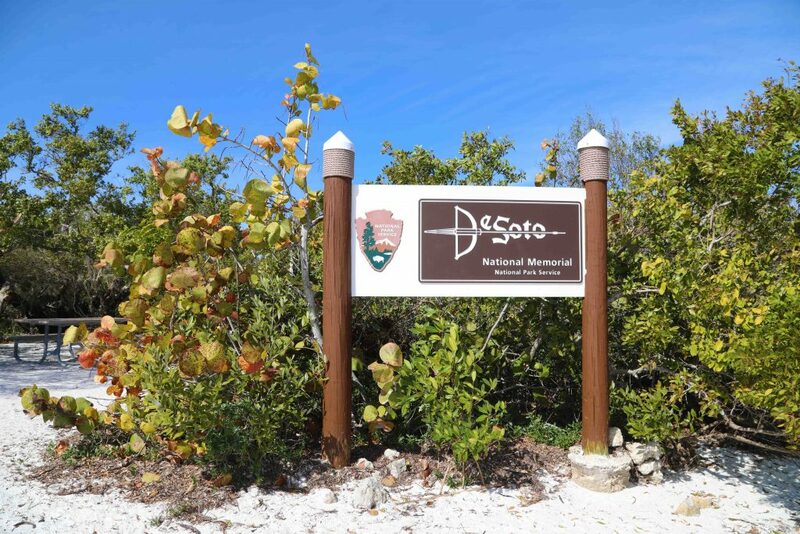 Let’s explore things to do at DeSoto National Memorial. How much does it cost to enter DeSoto National Memorial? 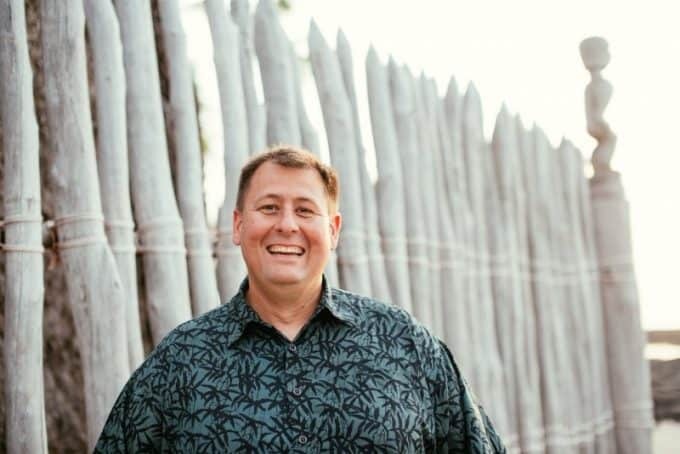 What is the physical address for DeSoto National Memorial? 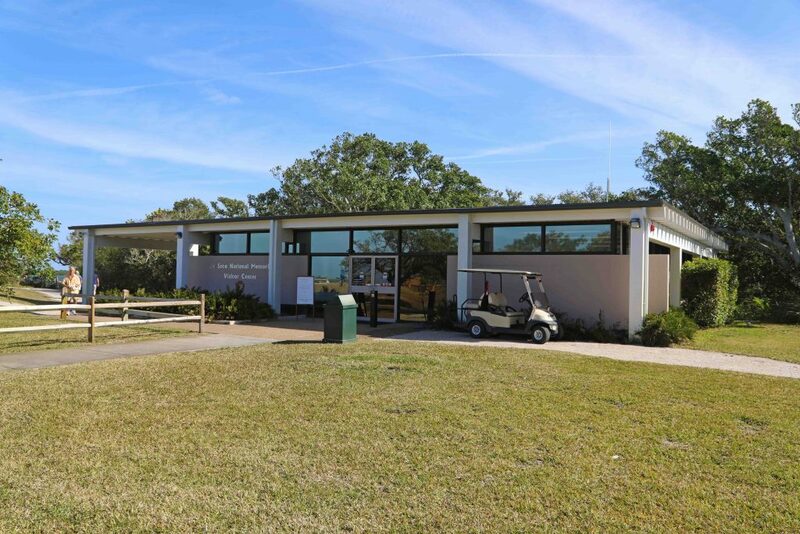 When is the Visitor Center for DeSoto National Memorial open? 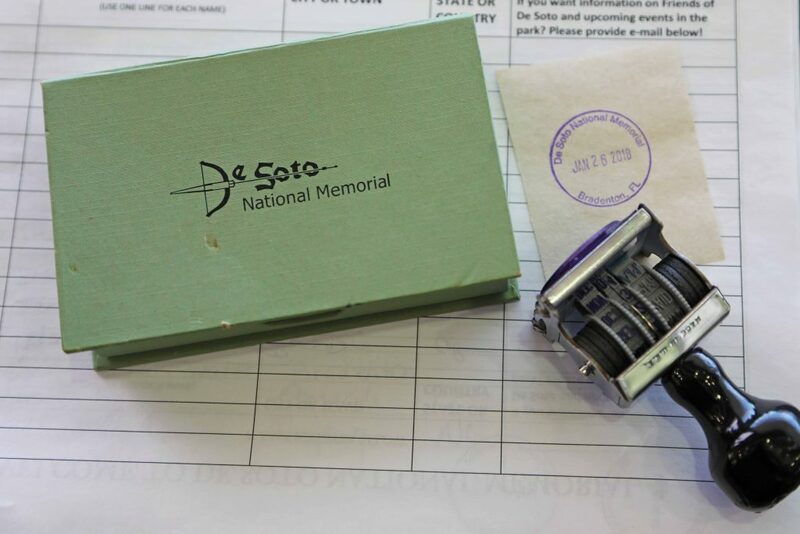 April 14, 2018, marks the 79th annual DeSoto Landing Event at DeSoto National Memorial. This event recreates the landing of Hernando De Soto at this location in May of 1539 claiming La Florida for the Crown of Spain. Staff from neighboring parks come to help with this once a year event providing a magical experience for all park visitors getting to experience this recreation. It is here that National Park Interpretative Rangers provide several programs including the extremely popular Historic Weapons Demonstrations. 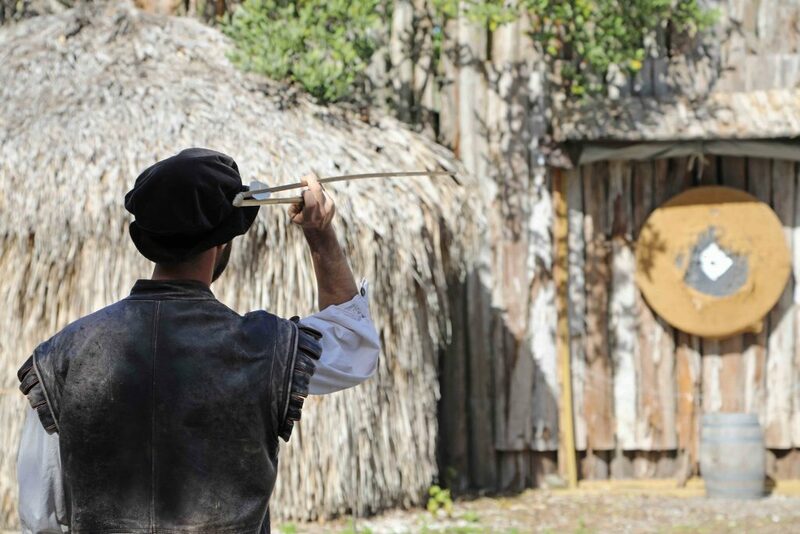 Here you will get the chance to see weapons used during the time when DeSoto and his Army landed in 1539. Interpretative Rangers describe how they were used and even demonstrate a few of them including black powder rifles and the Atlatl, an extremely powerful tool used by Native Americans to hunt. The summer brings much more humid temperatures and the interpretative programs turn to the water with Ranger Led Kayak tours. Reservations start April 1 for the Kayak Tours that are scheduled at 9:30 am on Fridays-Sundays in May through October (Check with the park for exact dates). The kayak tours and all equipment rentals are free. RSVP is mandatory for space is limited please call 941-792-0458. Park Ranger John Pro Tip: Did you know that Desoto National Memorial has a Junior Ranger Summer Camp? How Awesome is that! 2018 Sign-up begins May 1. Camp dates are May 29 – June 1 and June 12-15. Registration is free and is a great opportunity for kids to get to experience our National Parks! 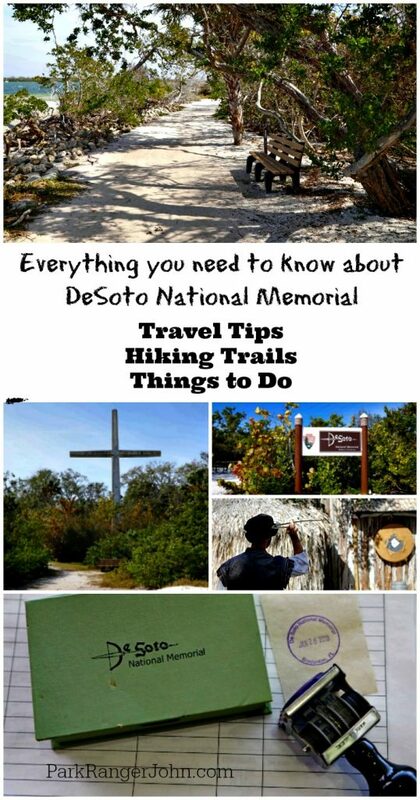 Make sure to check in with DeSoto National Parks website for more information and registration details. Don’t forget to stop by the park’s visitor center and get a stamp for you park Passport book! The National Park Service always impresses me with the quality information that is provided at the visitor center! 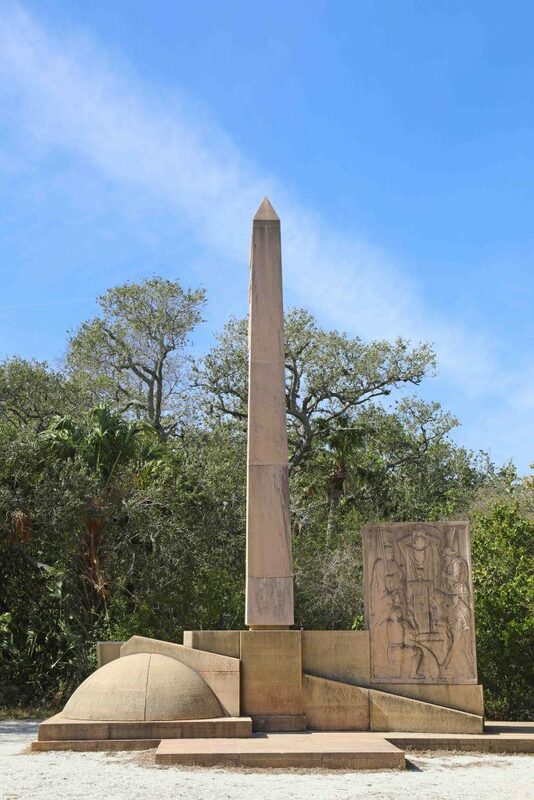 Make sure to stop in and watch the short film that preserves the controversial story about the 1539 Hernando De Soto landing just South of the Tampa Bay area. It was the beginning of a four year thousand mile odyssey with DeSoto and his Army in search of gold and riches. After watching the video make sure to get your U.S. National Park Passport Book stamped. 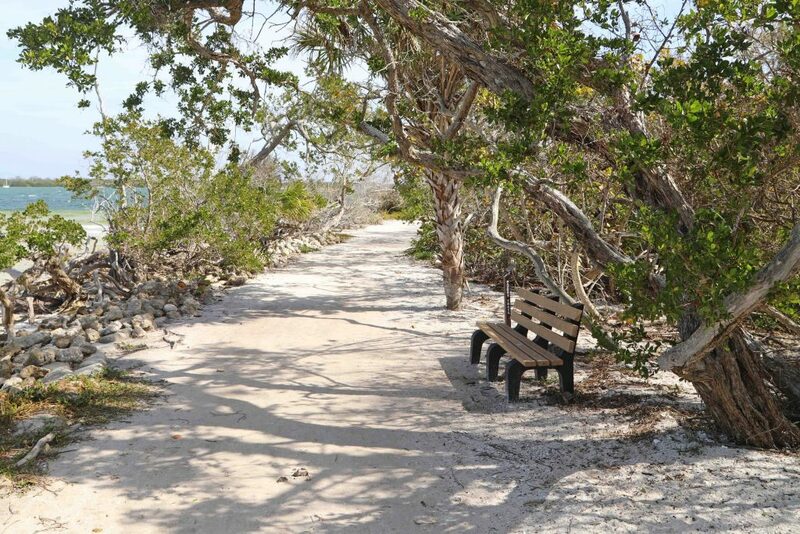 Make sure to plan enough time to take a leisurely stroll along the 1 mile Memorial Trail. 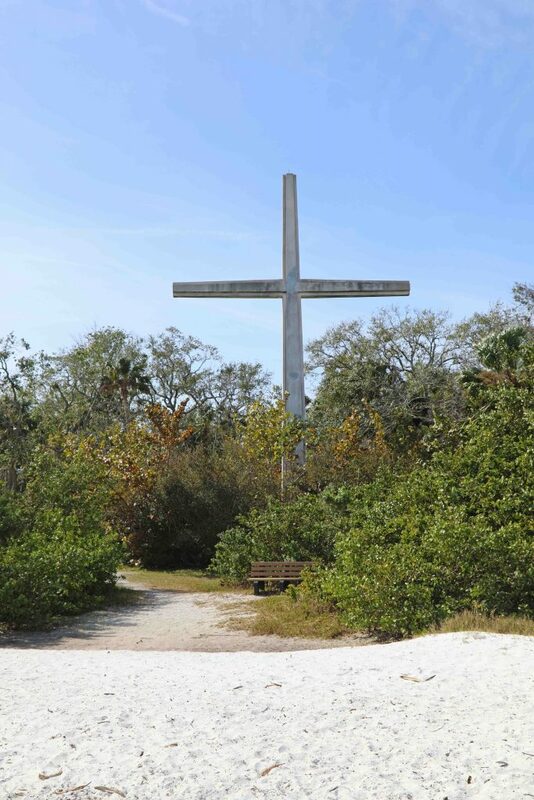 You get outstanding views of the water, walk along the beach, see the Tabby House Ruin, Holy Eucharist Monument, and Memorial Cross. I ran into several locals and definitely got the feeling this was a park that the locals love and take ownership in. Make sure to check out my article on Types of US National Parks Pass if you want more information on park fees. Park grounds are open dawn to dusk, but the parking lot gates close at 5:00 p.m. Always bring sunscreen and mosquito spray. Pets are welcome at DeSoto National Memorial but must be maintained on a six foot fixed leash. Make sure to download the Junior Ranger Booklet so you can complete the activities and become a Junior Ranger!